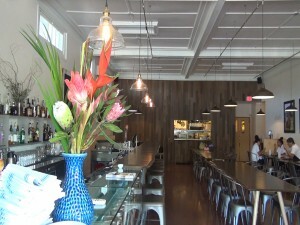 Dining room at Hāna Ranch Provisions in Pāʻia, temporarily closed during renovations. Photo by Kiaora Bohlool. 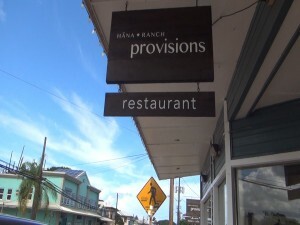 Hāna Ranch Provisions is halting service at both the to-go counter and dining room as a result of a building maintenance issue at 71 Baldwin Avenue in Pā‘ia. Initially, the restaurant temporarily closed the dining room with plans to keep the to-go counter open with expanded lunch options, but within days, leaders realized the kitchen would have to close completely, for now. No word yet on when it will reopen. Hāna Ranch opened Hāna Ranch Provisions in August of last year as its first restaurant on the island. 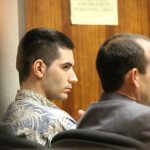 Since then it has expanded to include the Hāna Burger Food Truck, located at their ranch in Hāna. Hāna Ranch plans to open its second food truck by the end of the year. Plans for a second brick and mortar location and a third food truck are in the works for 2017. For updates and information, visit the Hāna Ranch Provisions website, or check back in our Dining section on MauiNow.com.